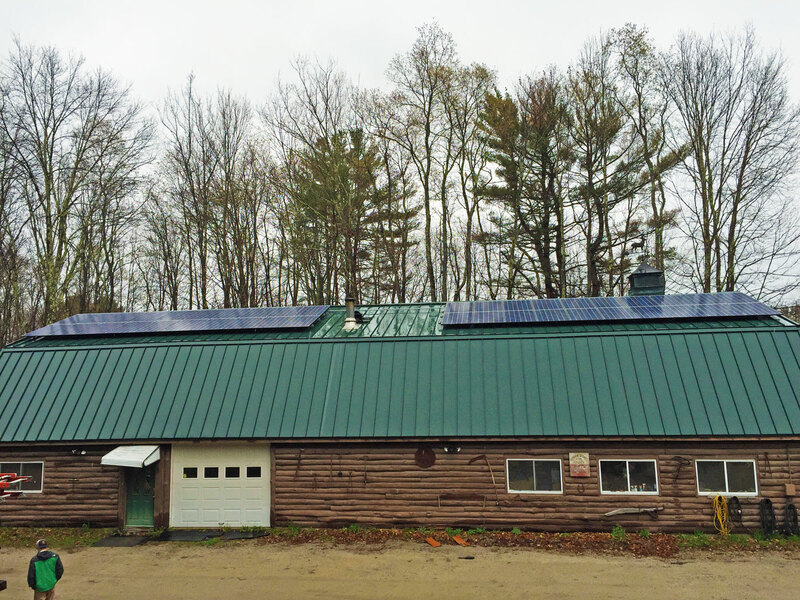 Danley Demolition in Fremont, New Hampshire uses solar to power heating and cooling, electronics, and other energy loads. For Lee and Rita Danley, solar has been a great way to expand their Fremont, NH based business… a company whose specialty is in taking things down. Danley Demolition, Inc. which they started together in 1993, is a full service removal company that serves residential clients, general contractors and municipalities in New Hampshire and Maine, and has even had a stint on its own reality TV show (“Bid & Destroy” as seen on National Geographic TV). The Danley’s solar journey began in 2014 when they decided to invest in a solar array for their home. Lee says that he had been researching solar and with all the electric bills generated by running their home and business, solar seemed like a beneficial investment. Once their initial array was installed, the Danleys were producing so much clean energy that they were able to add heat pumps and a heat pump hot water tank as well! 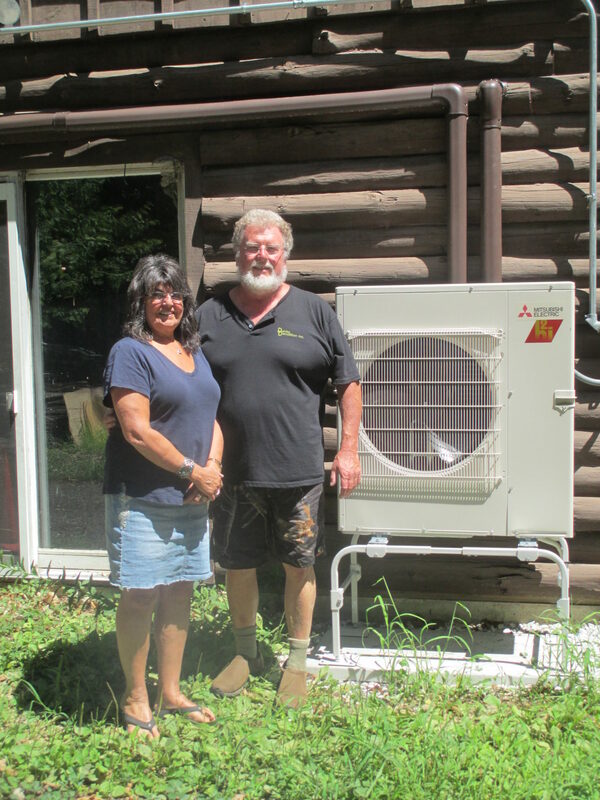 Impressed by their home system’s performance, the Danleys made the decision to invest in a second solar array and air source heat pump system this spring, this time to outfit the barn from which they operate much of their business. The new 10.6 kW PV array runs Mitsubishi mini-splits for heating and cooling their three offices, and provides electricity for various needs including lighting and plugging in the trucks to warm diesel oil in the winter. Both were extremely enthusiastic about their recent heat pump install and it’s easy to see why. Stepping into their office, the summer heat was quickly replaced by a comfortable cool. Rita says that the heat pumps have been awesome in making their offices, located in the barn, bearable in the summer months. The Danleys say their older heat and A/C units cost between $200-300 per month to run and were noisy, ugly, and inefficient. The new Mitsubishi units heat and cool more evenly than the equipment they replaced, and are 30% more efficient. The heat pumps are powered by the barn’s solar array, which means a further reduction in electricity costs. Rita notes that the new units look better as well, and that the location is great. Rather than a bulky window unit, heat pumps can be mounted up on the wall. And of ReVision? “We were very impressed,” Lee says. “Everything about the installation and process happened as [they] said it would.” He notes that they are also considering a ReVision installed heat pump system for another property in northern NH and that they’ll consider batteries in the future, for the ultimate in energy independence. Want to see what a demolition company does? Check out Danley Demolition’s – ahem – demo stration – on YouTube.